Hearing a complaint jointly filed by 3-garment companies against New Delhi and Tripura branches of the Oriental Insurance Company and its Coimbatore-based Divisional Manager, the National Consumer Disputes Redressal Commission (NCDRC) has ordered the insurer to pay around Rs one crore claim to all three firms, which were insured with it, for their loss caused due to fire in their garments unit in Tripura in 1998. The three firms had obtained six insurance policies against fire from the insurers for their garments units, which caught fire in 1998 due to an electric short circuit. The garments firms had claimed a loss of around Rs 3-crore. The firms informed the insurer about the mishap, but after doing surveys over a period of a year, the insurer repudiated the claim blaming for the mishap on the complainants. The insurance company and its officials claimed the firms had failed to produce the documents as required by them and a delay was caused by the companies. It also alleged that the fire was not accidental. 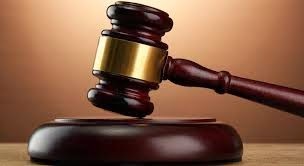 The apex consumer commission nullified the insurer's arguments and directed to pay a total of Rs 98,02,863 as claim to Tripura-based firms Sri Priyaluckshmi Garments, Sri Priyaluckshmi Exports and Sri Priyaluckshmi Apparels. The bench, headed by Justice J M Malik, directed the insurer to pay the complainants a sum of Rs 74,69,331, Rs 14,25,073 and Rs 9,08,459 respectively along with interest from the date of the incident in 1998. The bench also asked Oriental Insurance Company to pay Rs 5 lac to the complainants towards compensation amount.